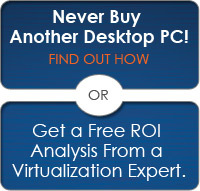 Desktop Virtualization - What Is It? Many companies have learned that buying desktop computers, installing and updating software, and maintaining desktop computers can be quite costly. Because of this, many companies are virtualizing their desktops to cut down on costs and maintenance. Virtualization software is used to give users access to information or a system from a centralized location. Desktop virtualization software can be a reliable, cost effective alternative to the way your business may currently be operating. Virtualization software helps reduce hardware costs because one server can host the applications that several computers use. This means that maintenance and updates only have to be run on one server instead of several machines. Virtualization allows your employees to work from different locations instead of only being able to access their files at their desks, meaning work can be done more quickly. Are you thinking about virtualizing your business? ACF Consulting can help! With ACF Consulting, you won't be speaking to a salesperson, but rather an expert in IT solutions. Our experts will explain the ins and outs of virtualization software to see how your business can benefit from it. Since every business is different, we like to take the time to understand what you do so we can make the best recommendations. 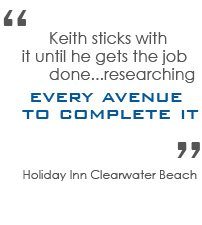 It's all a part of our personal approach to effective business solutions! Want to see the ACF difference? Contact us today!